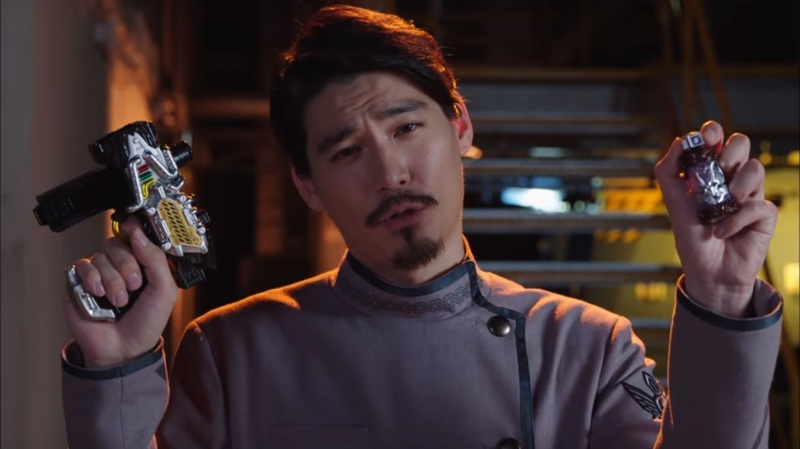 After yesterday's big revelation on Night Rouge's secret identity, the official Bandai youtube channel has posted the transformation course for Night Rouge featuring Gentoku Himuro as he invites you to become one of them. I suddenly feel like Gentoku would get along with a certain “god”. A bit surprised they revealed his identity so early. Unsure how I feel about him being Night Rouge as well. By that I more mean knowing Sento is just getting worked this entire time. His motive is interesting, though; militarizing Kamen Riders. ANYWAY! That aside! (And I guess why I went off topic) It's quite hilarious seeing this comedic side of Night Rogue. Hope they do more of these videos.